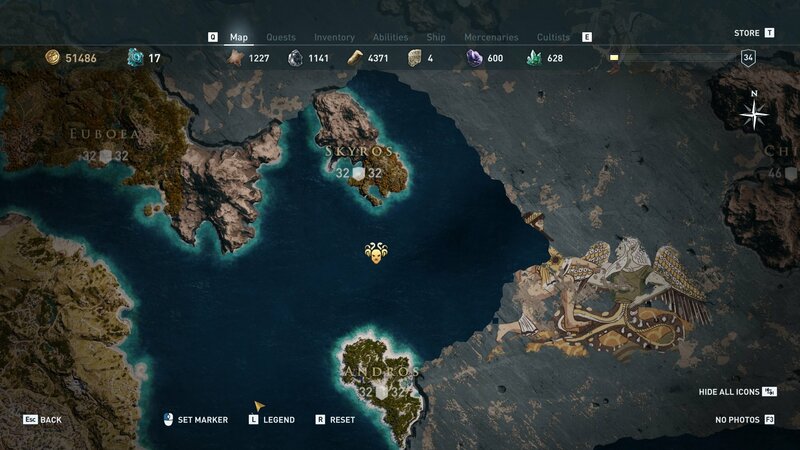 Prepare for intense naval combat as you track and eliminate the Gods of the Aegean Sea cultists spread across multiple locations in Assassin's Creed Odyssey. 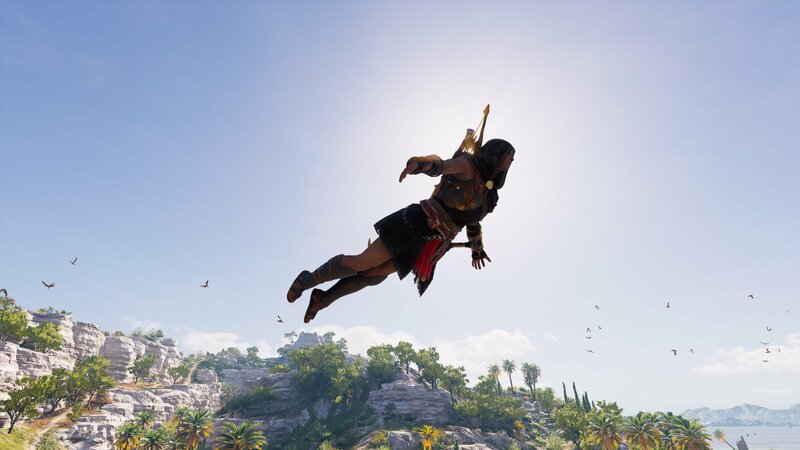 Tracking down the Cult of Kosmos members in Assassin’s Creed Odyssey is a huge task, but one that is more than worth it in legendary gear and XP alone. Unfortunately, these screwballs don’t want you to find them. The Gods of the Aegean Sea are particularly challenging because all of them are on ships at sea, which requires naval combat and boarding if you want to eliminate its members. 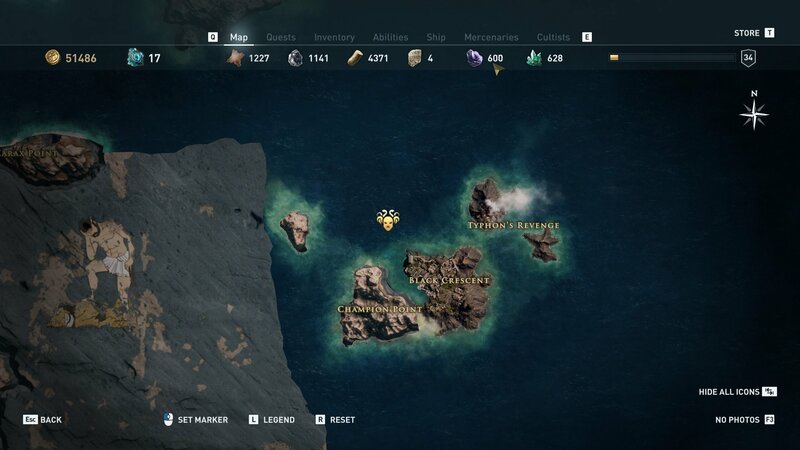 Below you will find an explanation for how to identify and locate each member of the Gods of Aegean Sea, helping you claim the legendary Pirate Set armor and Gorgoneion Xiphos legendary sword. Asterion should be unlocked for all players once they receive the list of cultists upon completion of the Serpent’s Lair story mission. Although he is listed as being level 32, I found him (and his ship) at level 28. Kill him by boarding his ship and be thankful that the loot he drops is given to you automatically. There is no need to confirm a cultist kill at sea. 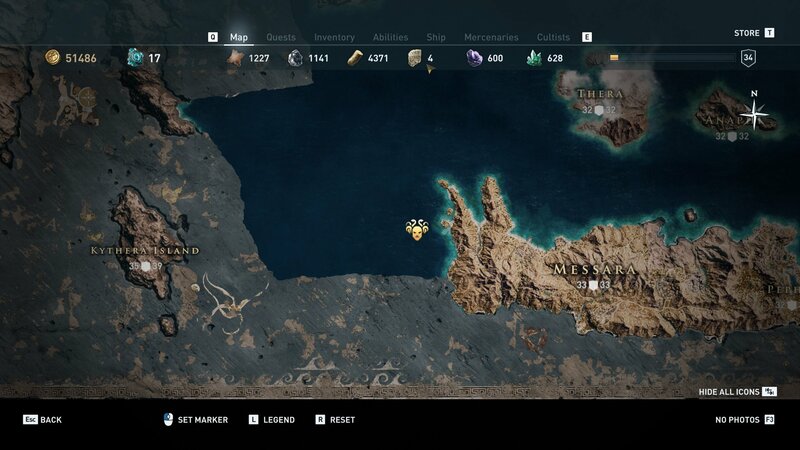 Upon killing Asterion a clue will drop that talks about a cultist within the Gods of the Aegean Sea that can only be killed by weakening the nation of Melos. 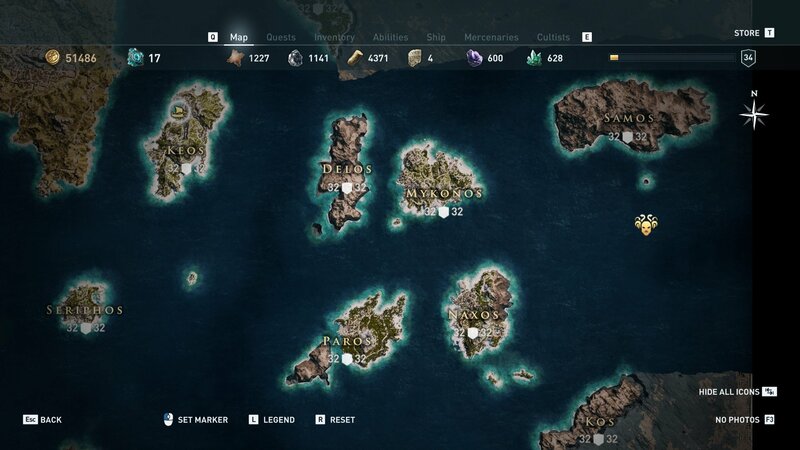 Head to the island and do everything you normally would to weaken the nation until the Conquest Battle is available. Fight for Athens and a naval battle will take place. Kill Sokos on his ship during the battle. The location and identity of The Octopus is revealed by killing Sokos, so she’s easy enough to find. This is another naval battle (as are all Gods of the Aegean Sea cultists). Board her ship once you’ve caused enough damage and finish her off or let your lieutenants do it for you. The loot will go straight to your inventory with no need to confirm the kill. Finding Melanthos is as easy as killing the leader of Messara, who is the father of Melanthos. You know to kill the leader of Messara because you found the Letter to The Octopus when you killed her. You will find Melanthos to the west of Messara. Although listed as level 32, he was level 31 for me. To find The Mytilenian Shark players must first kill Melanthos. This will give you the Letter to Melanthos, which talks about a cultist who sank their ship on ruins north of Thera. These ruins turned out to be the Place of Amphitrite. 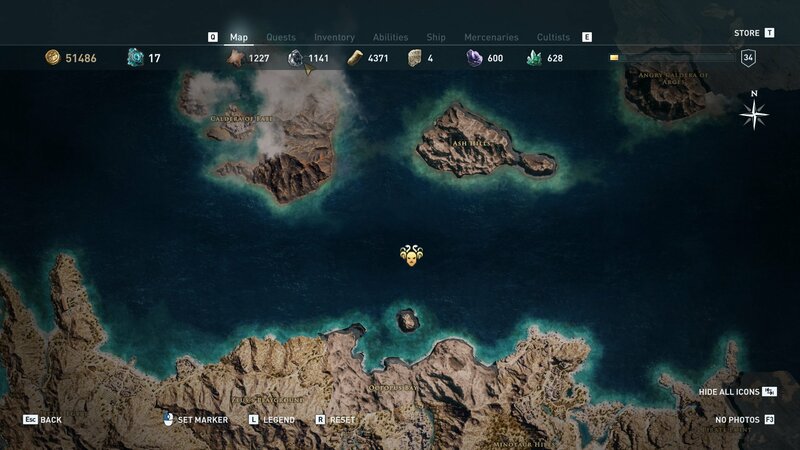 Once there, dive in and loot the chest in the hull of the ship (careful of sharks). This will give you the Sunken Goods clue, which pinpoints the location of The Mytilenian Shark as south of the island of Samos. Now you just need to kill him. Finding a Sage is easy enough. Once you have eliminated all five members of their faction you will be given their location and identity. The problem with The Hydra, however, is that he is level 50, which means it’s a tough fight, and it’s naval combat. This will be tough to cheese, but if you figure it out bet sure to tweet me and let me know how you did it. 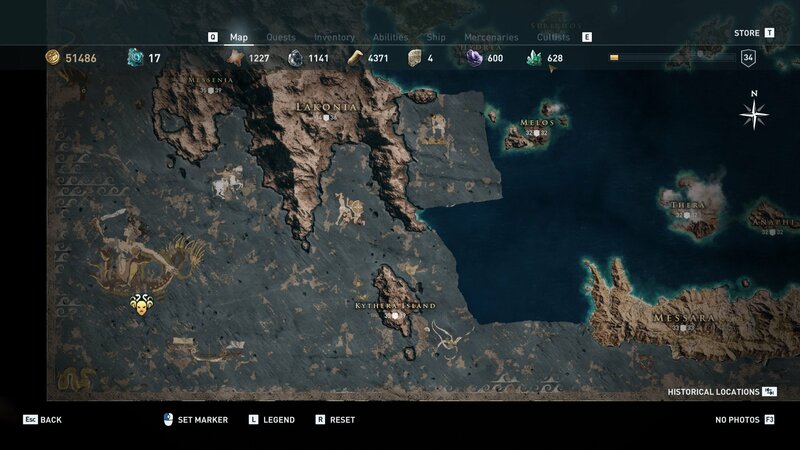 Now that you've destroyed the Gods of the Aegean Sea and collected the Pirate Set legendary armor, head to the Assassin’s Creed Odyssey walkthrough and guide for more help surviving Ancient Greece.